Franklin Rodgers, 74, of Olive Hill, KY, entered into rest at University of Kentucky Medical Center in Lexington, KY on Sunday, December 2, 2018. He was born July 18, 1944 in Carter County, KY, a son of the late John Rodgers and Amanda Barker Rodgers James. Mr. Rodgers was employed as a lineman with Local 189 Laborers Union. 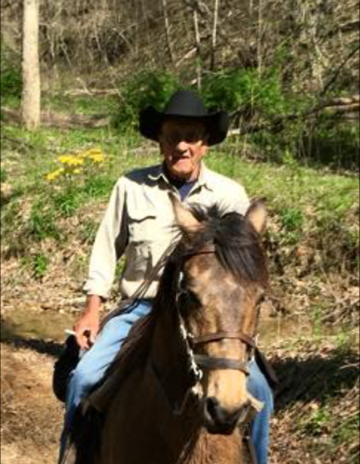 He enjoyed farming, riding horses and was handy at fixing things. In addition to his parents, he was preceded in death, in 2014, by his wife of 47 years Dazel Carroll Rodgers; one daughter, Cheryl Lynn Rodgers; one sister, June Osenton; three brothers, Henry Lee Rodgers, Bill Rodgers and Jack Rodgers. Franklin is survived by one son, Dwight D. Rodgers (Elizabeth Blevins); two sisters, Pauline Pratt (Bill) and Barbara Hicks (Gary); two brothers, Bob Rodgers and Ted Rodgers; two grandchildren, and one great-grandchild. Funeral services will be conducted at 1:00pm, Wednesday, December 5, 2018 at the Duvall & Moore Funeral Home. Burial will follow in the Olive Hill Memorial Park. Friends may call after 6:00pm, Tuesday, December 4, 2018 and 8:30am to 1:00pm, Wednesday, December 5, 2018 at the Duvall & Moore Funeral Home and Cremation Service, located at 149 Whitt Street, Olive Hill, KY.